The World of the internet has advanced a lot, and the biggest reason behind it is the improvement in technology. We are in the era where we can blog directly from our Smartphones, and according to the estimates in 2013 everything will operate on mobility so for webmasters and bloggers, it’s getting extremely crucial to optimize their website for mobile users. If your website speed is not impressive, then it’s quite clear that your visitors will abandon your website without any further delay. So today we will be going to discuss why Mobile matters? 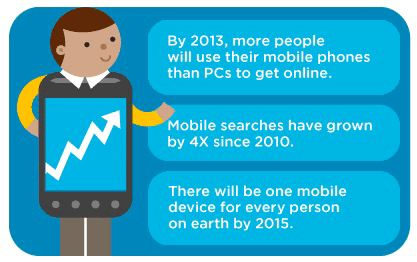 THE REASONS WHY MOBILE MATTERS? Following are the few reasons which will make you think why it is necessary to have a mobile responsive website. 1. 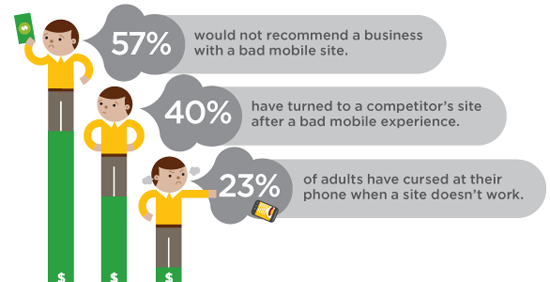 Customers Want Finest Mobile Experience? Your customers are already using Mobile, so if they don’t find your website mobile-friendly, then you will lose your significant users, so it’s extremely crucial that you develop a responsive Mobile Theme because mobile matters. Your users always expect to get the mouthwatering experience on their mobile devices same as they get on their desktop. No one care how healthier your website is designed the only think which your users want is rapid speed. Almost 90% users abandon a website if it is not completely loaded in 3 seconds on their mobile devices, so make sure your keep up your pace and let your visitors enjoy the irresistible mobile experience. Customers hate’s slow loading websites, especially on mobile devices. If you are running a slow Mobile template, then the chances are extremely high they you might lose your significant users and search engine bots might penalize you for being a sluggish website. Following are the few significant tips and techniques which could bring delightful experience to your mobile users. We are living in the world where people don’t have time to wait. Mobile users are short of time they want to make their experience as fast as they can, so they can manage their task on the go. You have to keep in your mind that no one care how perfect content you have, if your website is not according to the industry standards and takes more than 5 seconds to load, then you are living on the edge. Compress your images to keep them small to increase your speed. List less content on your main page and don’t use large blocks of text. Try to minimize your website load time and you will see a huge boost in your mobile users. You have to work on the design of your mobile website. Your customers always want everything intact in one place, so they don’t have to use their virtual keyboard or mouse. Add click-to-call functionality to your Mobile template. Use check-boxes to make data entry easier for users. Reduce number of steps which is required to complete the transaction. Keep the forms short and simpler to fill. No one like a website which has awkward interface with low responsiveness. Making a clear navigation with touch scrollable functionality is the perfect combination to make your interface simpler and better than others. Minimize the scrolling rate and keep it vertical only. Add a search box on every page so users can easily look for content. Use modest hierarchy in your menus and avoid rollovers. User often uses their thumb and fingers to operate your website from their mobile device. Design a website in such a way that large hands can easily interact with it without any difficulties. Use large buttons so users can easily operate your website. Try to center your buttons so it can be seen easily. Try to make your text more prominent. Superior mobile website consists of lots of inputs and out puts you have to implement only those things which have the most demand in your audience. Try to interact with your audience and learn what they want and in the end implement it, and keep on repeating it until you get most desirable results. Using Google Analytics track your mobile users and learn what they desire. Do a research work, combine your ideas and enjoy perfect website. Ask your readers, learn and implement.